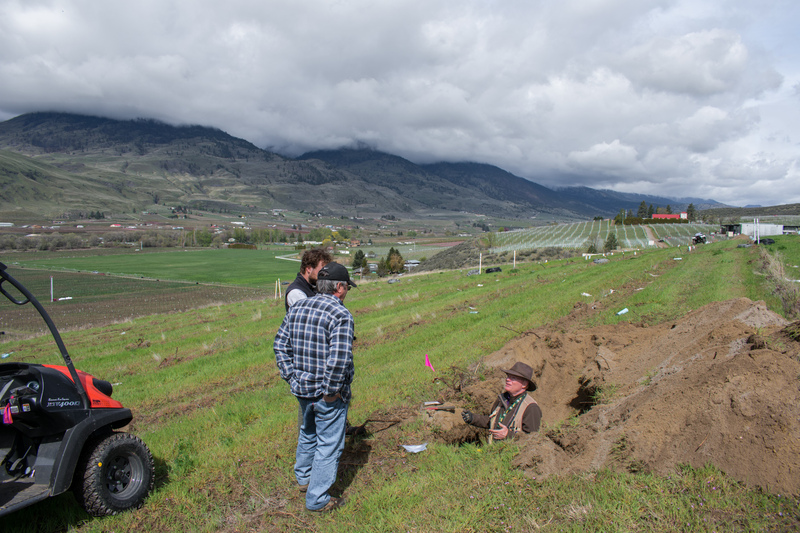 We are fortunate that our activities on the Black Sage Bench have piqued the interest of renowned soil consultant Dr. Paul Anamosa, who has analyzed and evaluated vineyard soils in many prestigious wine regions. This week, Paul is leading a digging expedition to assist with the development of two new properties on the Black Sage Bench. The plan is to dig two pits per acre, each five feet in depth, to evaluate soil texture and structure as well as nutrient availability. 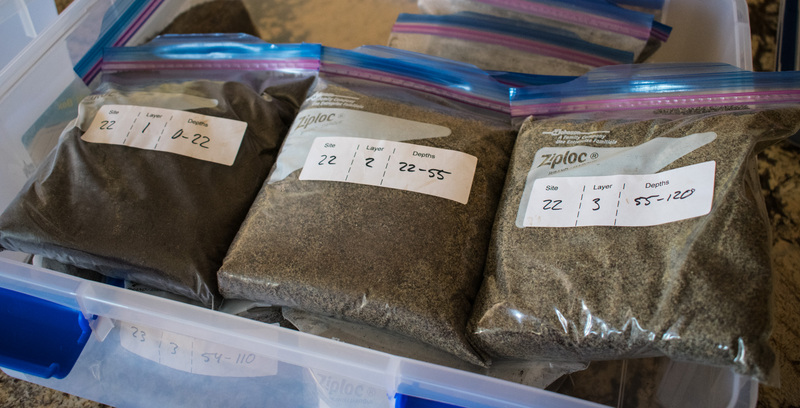 In short, we’re trying to answer: what’s the soil like? It’s a time-consuming process. 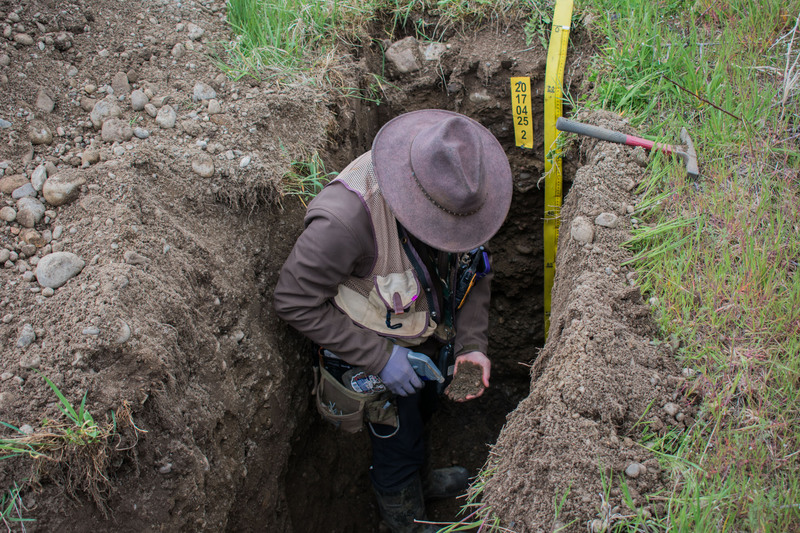 Dr. Anamosa examines the physical structure of the soil in every pit. In total, he will evaluate 45 pits over three days. 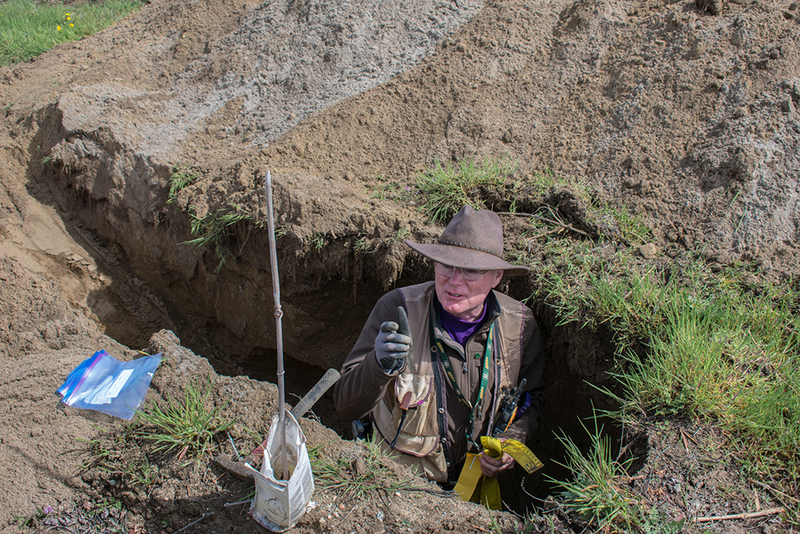 He then draws soil samples from different layers of the soil profile to be analyzed by an accredited lab. From our experience on the Black Sage Bench, we know these two properties are ideally suited to late ripening varieties like Cabernet Sauvignon and Merlot. Dr. Anamosa’s analysis will help us fine-tune our planting decisions.